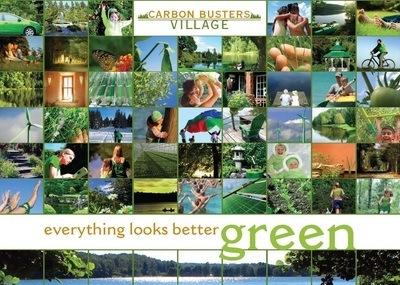 ​Carbon Busters' proposed development will be a zero carbon village. Carbon Busters is excited to announce the design and development of The Willows, the first ever Carbon Busters® village, a zero carbon integrated sustainable community within Edmonton's city limits. 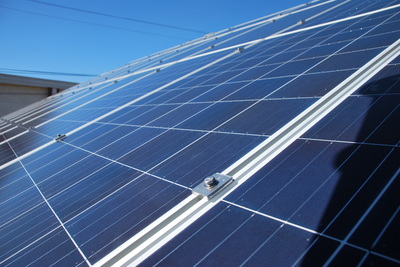 The intent is to design and develop a demonstration sustainable community with a zero carbon impact for operations that will showcase innovative green systems for water, grey water, waste treatment, power generation and green living practices with a focus on social justice, smart grid integration, research and education for sustainable development. A number of design charrettes have been held and more are planned in the new year with the goal of achieving best practice models for the village concept. 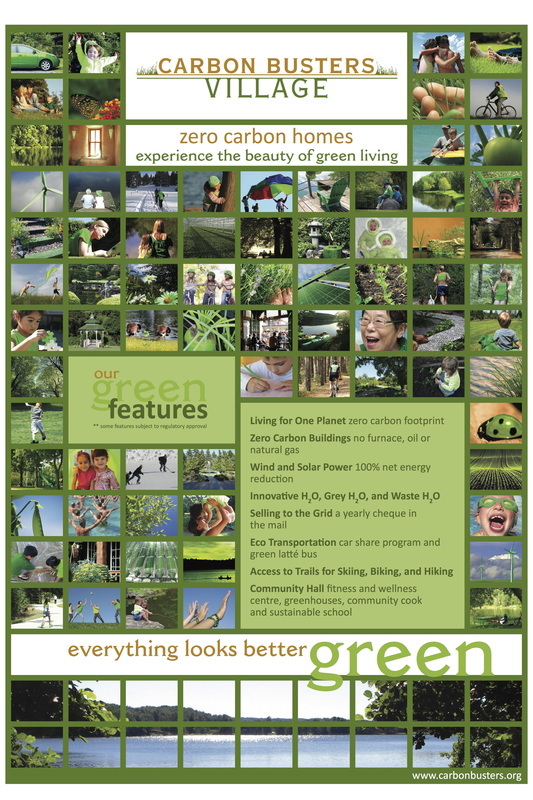 Carbon Busters was a member of the Provincial Working Group for the Education for Sustainable Development creating a vision for Alberta as part of the UN Decade for Sustainability untill 2014. In our efforts to connect with Albertans, the Alberta ESD Working Group sent out invitations to bring together members from social justice groups, business leaders from social enterprises, and environmental educators from formal, informal and non-formal sectors of the community. The visioning process has resulted in the design and development of a number of innovative projects including a sustainable school and a Centre for Learning as components of a sustainable community. Details of the project will be announced once we have confirmation from all our stakeholders at the municipal and provincial levels. Lead Planner/Designers for the project, Godo Stoyke and Shanthu Mano, are in the process of bringing together a number of experts to make this project a success. The initial information session on this innovative project was held at the Telus World of Science with almost 300 people attending. A second information session was hosted by the Young Environmental Professionals, held at Remedy Cafe. 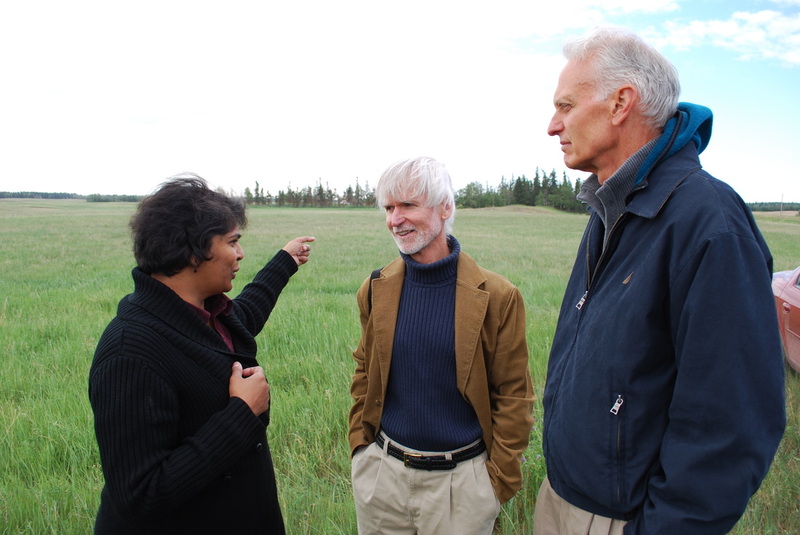 A design charrette for incorporating social justice into a sustainable community design was held in Edmonton with 32 organizations present. Watch for further updates here.